I have just found an exciting article on Jaguars.org’s Facebook page. The story, originally posted by The Wildlife Friendly Enterprise Network (WFEN), concerns a new development in the fight to secure a long-term future for jaguars. WFEN, the Jaguar Conservation Fund (JCF), Proyecto de conservación de Aguas y Tierras (ProCAT Colombia), and the Sierra to Sea (S2S) Institute have collaborated with food producers in three jaguar range countries to develop a new Jaguar Friendly™ ecolabel. The new label will function as follows. Ranchers and farmers in Brazil, Colombia, and Costa Rica will agree to implement agricultural practices that minimize habitat destruction. This will maintain landscape connectivity between protected areas, which is a crucial part of big cat conservation. In return, participating food producers will get to market their products as Jaguar Friendly™; which will make them more attractive to socially responsible consumers. Goods like coffee, beef, sugar cane, pineapple, and more will be included in the program. The Jaguar Friendly™ initiative will hopefully benefit jaguar (Panthera onca) conservation by making the cats more economically valuable to farmers and ranchers. But I suspect it may have an additional effect. According to self-perception theory (Bem, 1967), we infer our attitudes based on our behaviors. As agricultural producers implement Jaguar Friendly™ practices, they might come to view themselves as the sort of people who care about jaguars. This could lead them to help the cats in additional ways, such as choosing to not persecute them. I am ironically planning a post about this topic next week. Be sure to click here to read the original article from WFEN. Also, I highly recommend you follow this link and like Jaguars.org on Facebook. They post lots of excellent information. It’s actually not the only reason some farmers choose to help jaguars. Some farmers and ranchers choose to protect them just because they like them, although programs that give people economic incentives to care for jaguars can cast a wider net. While it may seem selfish, programs like this that give people an extra reason to help big cats might actually lead to long-term attitude change. The trick is to give them just enough incentive to change their behavior, but not so much that they can say, “I just did it for the money.” It might also help to give them positive reinforcement that ties their behavior back to the original goal of conservation. For example, maybe one of the orgs can tell farmers, “This program has been a success because of you; we can tell you really care about jaguars.” I’ll be writing more about this in the future, but these tips might help farmers come to view jaguar conservation as something that’s genuinely important to them. Oh that’s very true, I didn’t think about it in terms of attitude change, but rather just the commercialization. Similar to how the fair trade label has been corrupted into a brand identity. That’s the danger whenever we try to commercialize socially responsible behavior. That’s why we have to constantly reinforce the idea that the whole purpose of the incentive is to do something good; in this case to maintain habitat connectivity for jaguars. The financial benefits should be enough to get people to join the program, but they shouldn’t be the whole focus of the initiative. 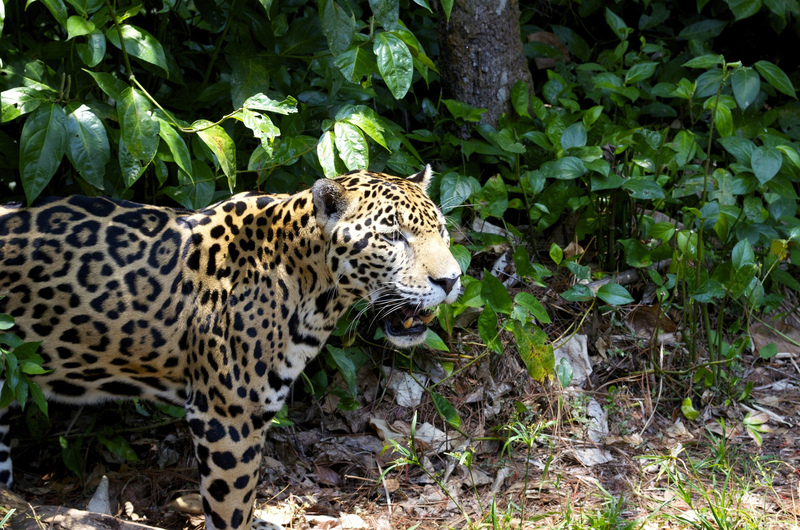 Pingback: Farmers and Conservation Organizations Unite to Create Jaguar-Friendly™ Ecolabel | Blogger's World! That’s encouraging. Let’s hope it goes well. That is very encouraging, helps both the farmers and the big cats. Thank you for sharing. I don’t know how I missed this post, thanks for sharing. As always, you find way to enlighten us.